As most of my friends are aware, I have been on a downward spiral when it comes to my training and my body weight. This past weekend at the Swedish Nationals for Masters Swimming short course, I think I can say that I finally hit rock bottom… My times during the three day competition were around the same level I had back in 2006 when I just started back up in Masters. The picture above is a pretty good summary of what my 2016 will look like. So 10 months after TYR Warriors (Fredrik Björn & I) sign up for this summers Swimrun races we finally made it to a starting line. Last Saturday we started and finished the 28km Stockholm Swimrun. Yesterday was a travel day for me. Started at 9:30 am and got into my hotel room around 01:30 am this morning. Got to watch Wild Card, Seventh Son, Robot Overlords & Project Almanac during the flight over. Depending on how early I can go to bed on Thursday I might have to sleep on the flight to Stockholm so I am not tired on Saturday for the Stockholm Swimrun. It’s a scary but at the same time an exciting feeling. I was forced to pack for a race 6 days in advance, so now come Thursday/Friday I won’t be overwhelmed with what to pack. I arrive in Stockholm around 2 pm and if for some reason would notice that I am missing something I think I can find a replacement in town. Or if I am lucky I realize it Thursday night and can ask Fredrik to take it up to Stockholm on the train. Hoping to get to the hotel by 5 pm today so I can get some sun. Depending on the plan after work with my colleagues I might even try to get in a quick run, otherwise I will save my workouts for the mornings since we have pick up at 8:45 I have all the time in the work to run before an 8 am breakfast. It is not something that you see everyday, but my wife was witness. 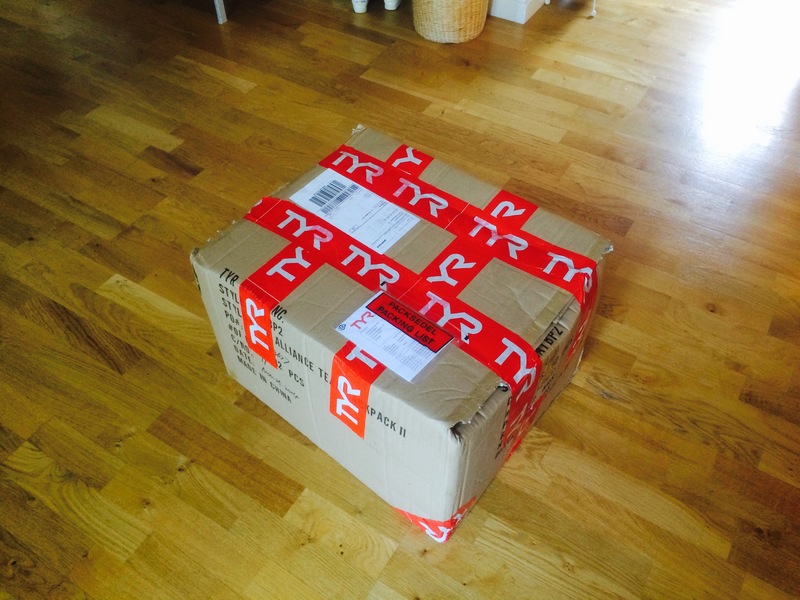 The reaction of two regular guys in their fourties opening a package full of Swimrun gear from TYR Sweden.